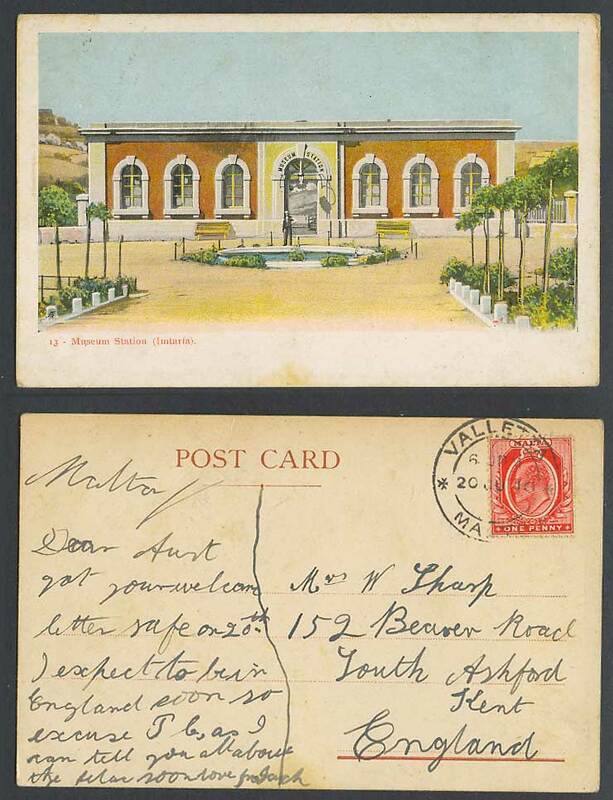 Vintage Maltese Old Colour Undivided Back Postcard. Malta - Museum Station, Imtarfa, Maltese Railway Station Train Station. Fountain. Postally Used in 1910 with King Edward 7th 1d stamp, tied Valletta.